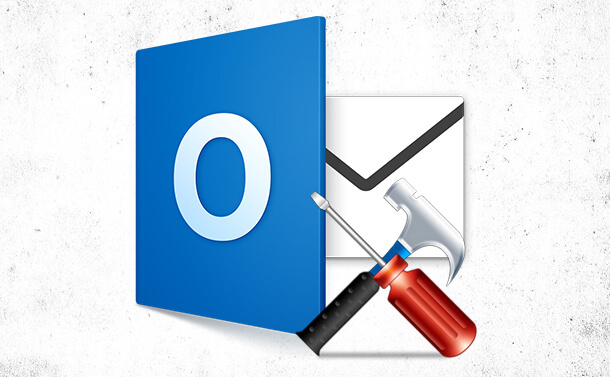 Outlook is one of the best mailing service which helps you to keep your emails organized. Imagine you are sending important emails from Outlook and suddenly a prompt comes up “Microsoft Outlook Not Implemented.” If you are panicking, then don’t! As there could be several reasons for which you could have encountered this issue. There are some hacks and tricks available with which you can attempt to fix the issue. Step 1: To open File Explorer, press Windows and E simultaneously. Now type Scanpst.exe in the Search bar (locate it at the top right corner of the window) to search for the tool. Step 2: You will get the search results, then double click on the result. Click Browse and choose the file that you want to repair then tap on Start. Step 1: Type Control Panel in the search bar beside Start menu to get Control Panel. Step 2: Locate Down arrow beside View By at top-right corner of the window. Click Down arrow, choose Small icons from the drop-down menu. Step 3: Navigate to Windows Firewall. On the left pane, locate Windows Firewall On or Off. Step 4: Select options that disable Windows Defender. Tap OK to let the changes effect. Step 1: Follow the path to go to Microsoft Outlook folder. Tip: If you are unable to locate AppData folder that means it is hidden. To unhide, click View (locate it at the top of the window)->Show/Hide->put a checkmark beside hidden items. Step 2: Once you get Outlook folder, rename it to outlook.old. Now whenever you will launch Outlook, the srs file will be created. To resolve the Outlook “not implemented” error, you can create pst files. If you have the older version 2007, Locate Tools->Account Settings. Step 2: Navigate to Data Files tab, choose a file name. Click Add and save it with a name. Now that pst file is created, Click Set as Default. Step 1: if you have Windows 10: Type Control Panel in the search box beside Start menu to get Control Panel. If you have Windows 8/7/ Vista: Click Start> Control Panel. If you have Windows XP: Go to Start> Settings>Control Panel. Step 2: Once Control Panel is up, navigate to Program->Uninstall A Program. Step 3: Check whether you have two versions of Outlook on your computer. If yes, then choose the one you don’t need and click Uninstall. If there is just one, then click on Change. Step 4: You will get a window, choose Repair and then click Continue to resolve the issue. So, these are some of the ways to fix Microsoft Outlook not implemented error on Windows. Try them and let us know what worked for you!